Caroline Winn's sculptures are the result of a continually evolving and experimental process. She creates collections ranging from semi-figurative to organic forms, using the complex interaction of multiple clays, innovative glazes and the distorting effect of heat. 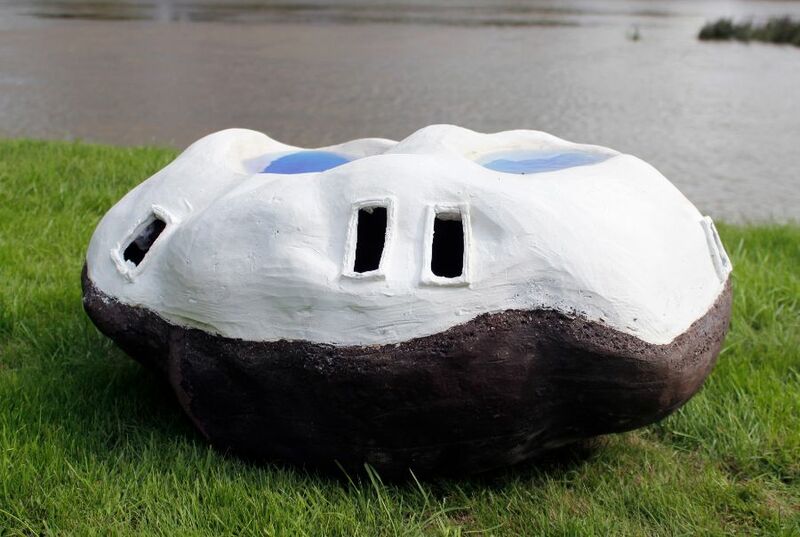 The work often incorporates non-clay materials salvaged from the river Thames and coastal foreshores. A common theme is human activity in the natural environment and the traces or memories that it leaves behind. All the work is frost proof and suitable for outdoors.